So, let us start with Valery Kratokhvil’s article Nommo Spaceship from Canis Major. 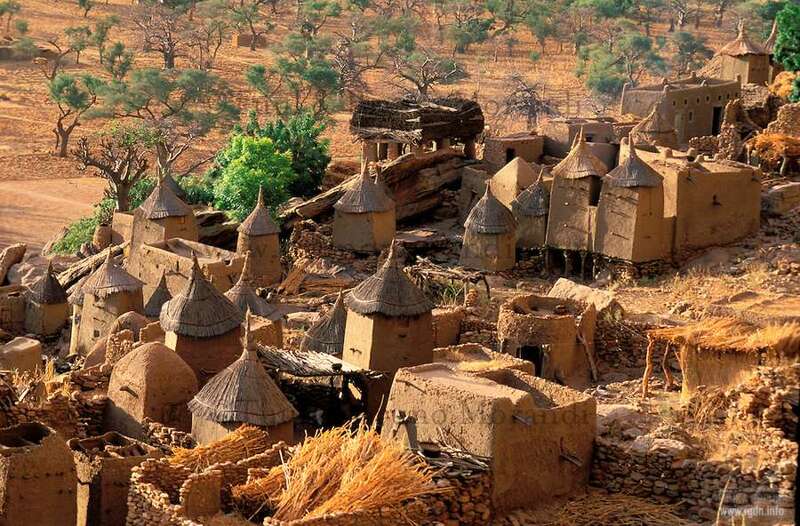 Since 1931, a team of French anthropologists led by Marcel Griaule and Germaine Dieterlen were studying customs and beliefs of the African people called Dogon, living in the territory of Western Sudan (the present-day Republic of Mali). Their thirty-year work resulted in The Pale Fox monograph dedicated to Dogon mythology, the first volume of which was published in Paris in 1965. 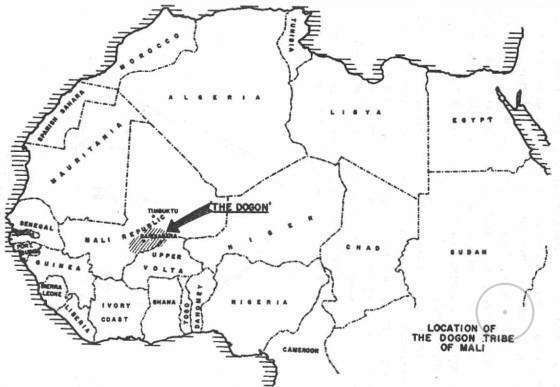 Three years later, the famous British astronomer W.R. Drake noted the Dogon people’s precise knowledge of the star Sirius parameters. 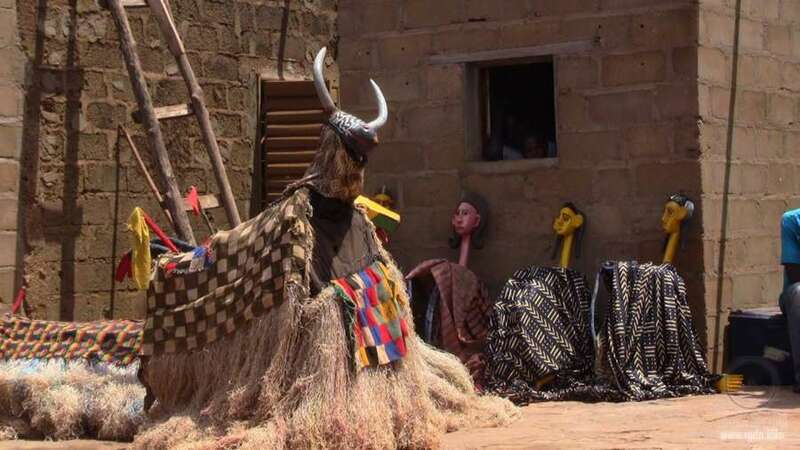 Not having even their own written language, in their cosmogonic myths the Dogon distinguish such different kinds of celestial bodies as planets, stars, and satellites. Stars are referred to as tolo, planets are called tolo gonoze (“stars that move across”), and satellites are called tolo tonaze (“stars that make circles”). The accuracy of these ideas is amazing, especially if we take into account the people’s primitive lifestyle. 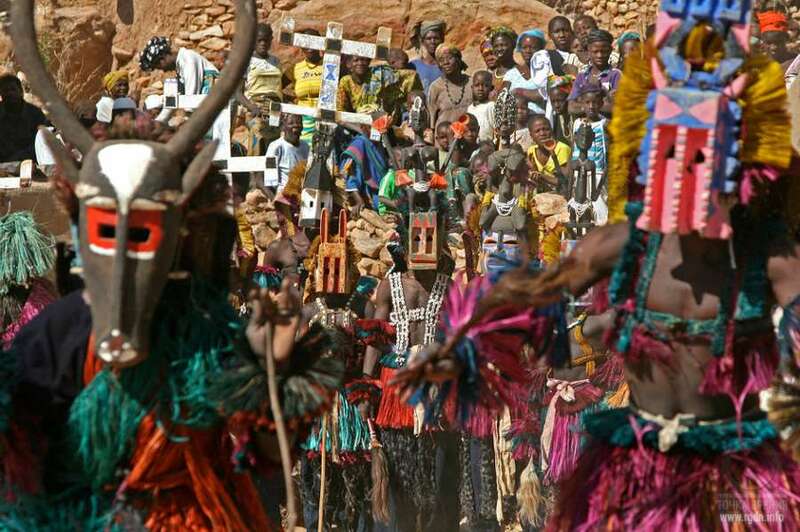 Among the Dogon, only Olubaru priests are allowed to study ancient myths. They are members of the secret “society of masks”, who know the special language Sigi so (“the language of Sirius”)... In everyday communication the Dogon speak the Dogo so language. The Dogon believe Sirius is a triple star consisting of the main star Sigi Tolo and the stars Po Tolo and Emme Ya Tolo. They remarkably precisely indicate the period of rotation of the two smaller stars around the main one – 50 earthly years (modern data: 49.9 years). Moreover, their ancient myths contain information that Po Tolo has a minor size along with enormous mass and density. “It is the smallest and heaviest of all the stars, and consists of a metal called sagolu, which is more brilliant than iron and so heavy that all terrestrial beings together would not be able to lift even its particle...” Another part of the myth specifies: “the sagolu particle has a size of a millet seed and a weight of 480 donkey load packs” (i.e. about 35 tons). 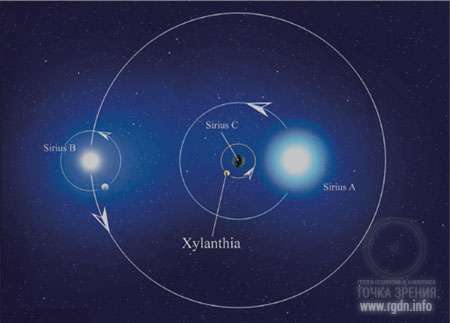 Astronomers in different countries today debate whether the third component – Sirius C star – exists in this stellar system. Several astronomers even asserted “it had been observed a telescope”... 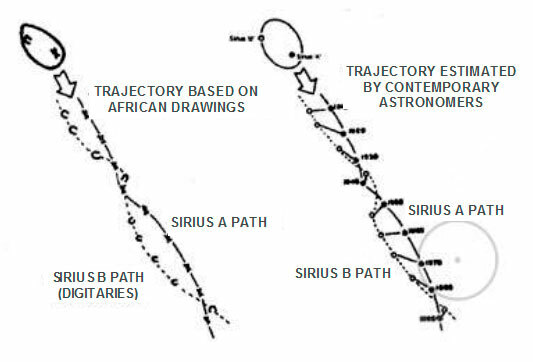 Although such observations have neither been repeated nor confirmed, a number of experts believe the irregularity of Sirius A trajectory is due to the third star effect. 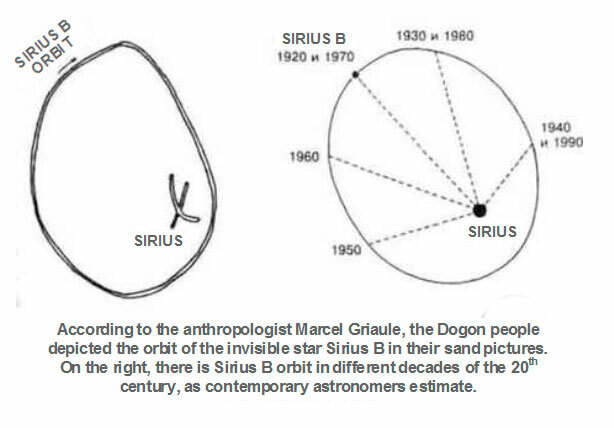 According to Dogon myths, when the star Po Tolo (Sirius В) that in the Dogon priests’ opinion has an elongated orbit approaches the star Sigi Tolo (Sirius А), the latter starts shining brighter. In order to verify this statement, several years ago astronomer A.V. Arkhipov compared the measurements of the star brightness over 1.5 centuries. The researcher came to the conclusion that Sirius brightness indeed fluctuated with a period of 50 years, i.e. the period of Sirius B rotation around Sirius A. Moreover, when such fluctuations were compared with changes of the distance between the stars, it turned out the Dogon were absolutely right: the closer the satellite was to the main star, the brighter the star became! 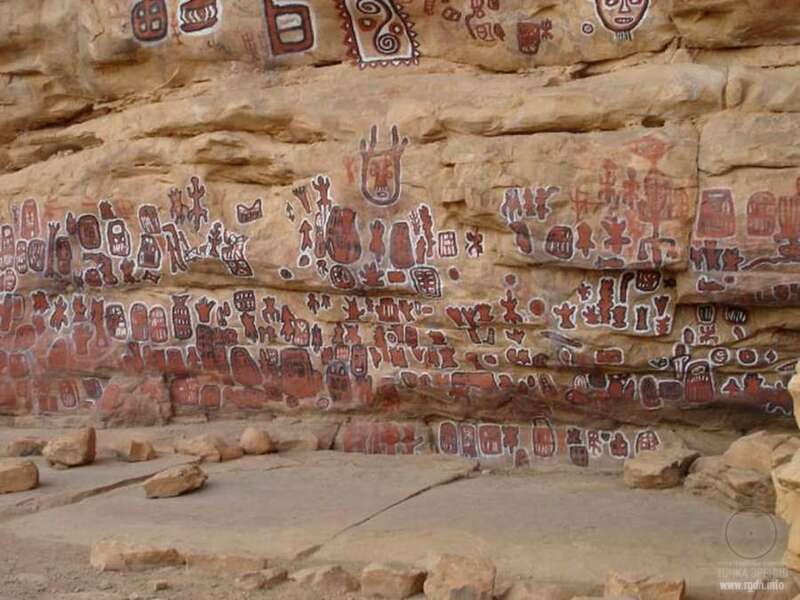 The Dogon people also know that Saturn is encircled by a “regular ring”, while Jupiter has four large satellites that were discovered by Galileo Galilei in 1610 by means of a telescope. 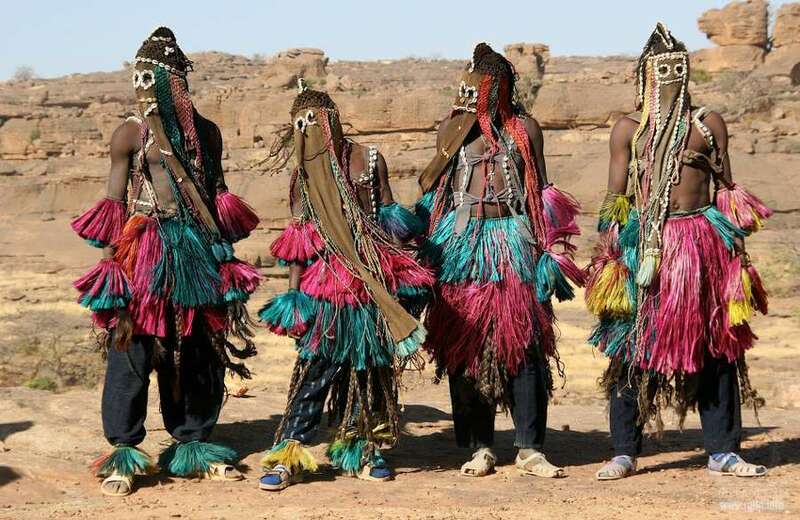 The Dogon priests – keepers of the sacred “language of Sirius” (Sigi go) – explain their astronomy awareness by the fact that in the time immemorial their forefathers were relocated to this planet from Po Tolo, i.e. from Sirius B.
Babylonian, Egyptian, Greek, and Roman sources indicate that in ancient times Sirius – the bright blue-white star in the constellation of Canis Major (the Great Dog) – looked differently than nowadays. Thus, in Babylon it was called Shukkudu – the “red-hot copper”, Ptolemy in his Almagest (the 2nd century AD) included Sirius in the list of red stars, while the Roman philosopher Lucius Seneca noted about two thousand years ago: “The redness of the Dog Star (Sirius) is deeper, the redness of Mars is softer, and Jupiter has no redness at all…” However, in the 10th century AD the Persian astronomer Abd al-Rahman al-Sufi described Sirius as blue and white, as we see it today. One of the Dogon astronomical drawings depicts the Sun and Sirius connected by a curve that twists around each of the stars. 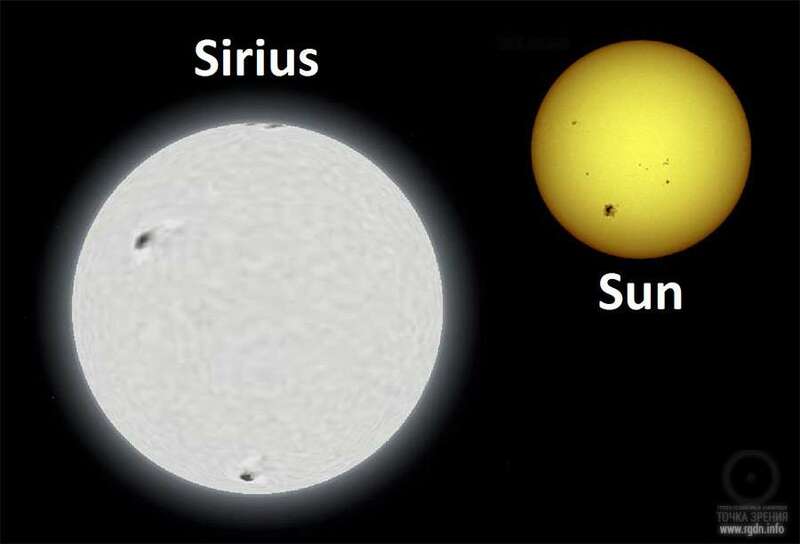 At that, the diameter of Sirius exceeds the diameter of the Sun. 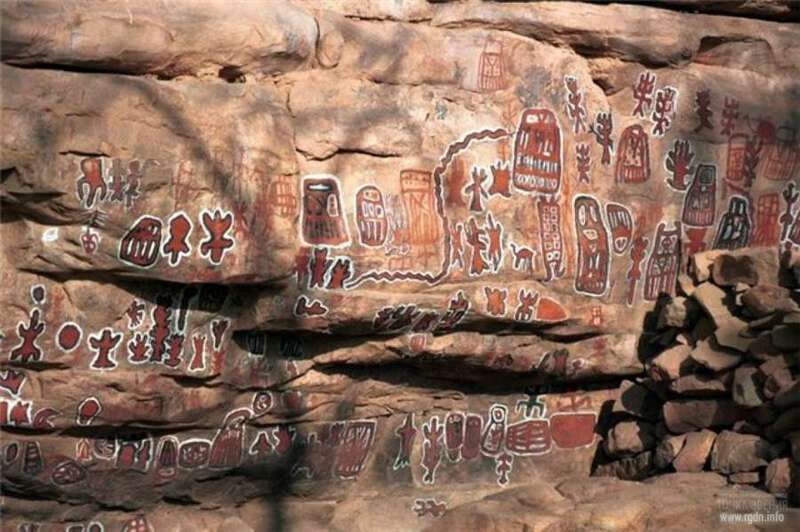 It should be noted that Dogon myths about deep space are very much in line with modern scientific views. 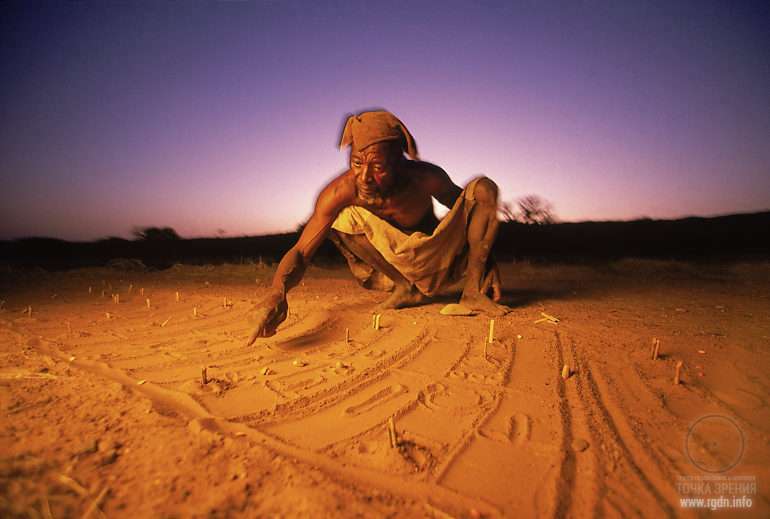 For example, the Dogon know that our galaxy visible from the Earth as the Milky Way is a “spiral stellar world”. They believe there is an infinite number of such “spiral stellar worlds” in the universe, while the latter is “infinite, though measurable”. 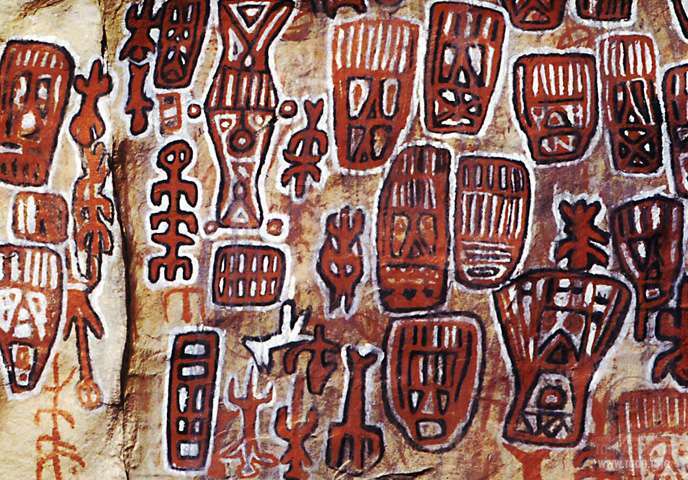 Strictly speaking, Dogon myths mention not just one, but several “space journeys”. The initial journeys were undertaken by a person named Ogo. Upon his third trip he got to the planet Earth where he turned into the Pale Fox – Yurugu. 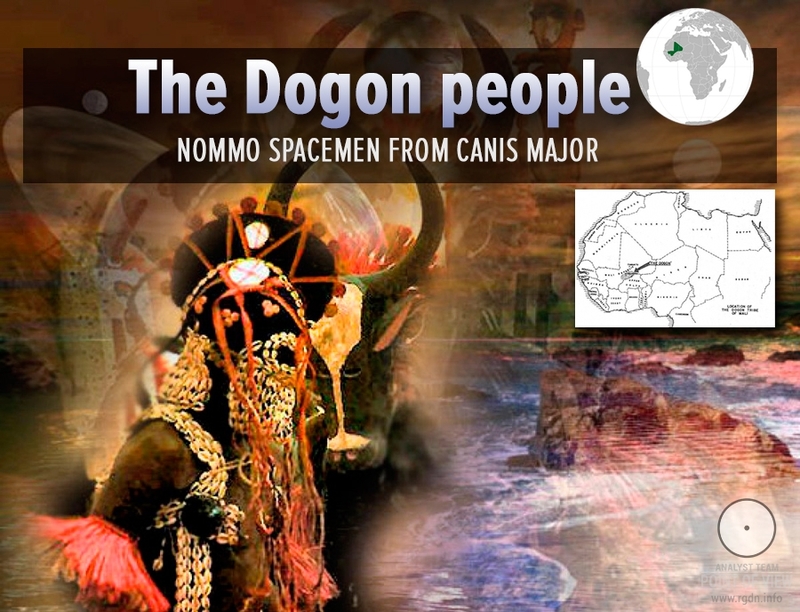 Furthermore, in ancient Dogon myths and drawings the space NommoArk is described, in which ancestors of the Dogon descended from Sigi Tolo, having brought with them everything necessary for living on the Earth. 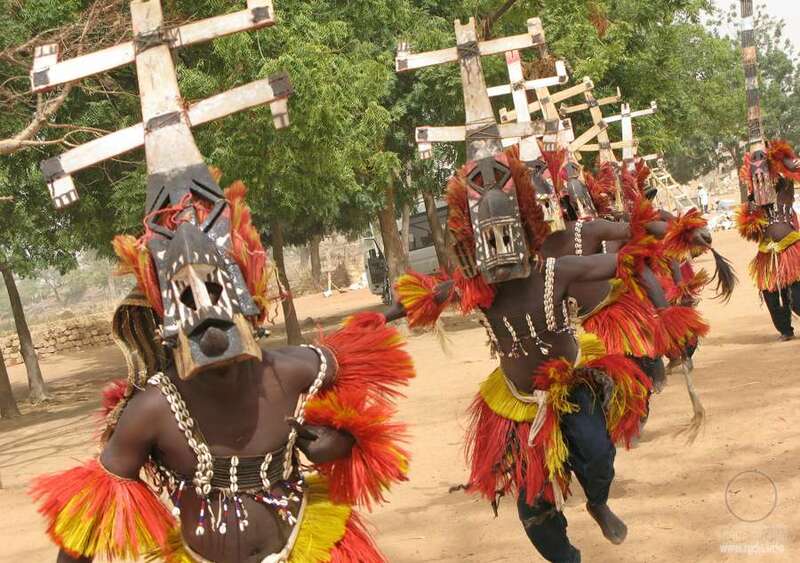 Olubaru priests depict the Nommo Ark as a basket (tazu) resembling a truncated cone in which the upper plane represents a square and the lower plane represents a circle. On the cone sides there are ladders on which people, animals, plants, etc. were holding while descending to the Earth. The Nommo Ark landed after eight years of “swinging” in the sky, “having raised a cloud of dust by an air vortex”. Nommo was the first one to go out of the Ark, and other creatures followed him. 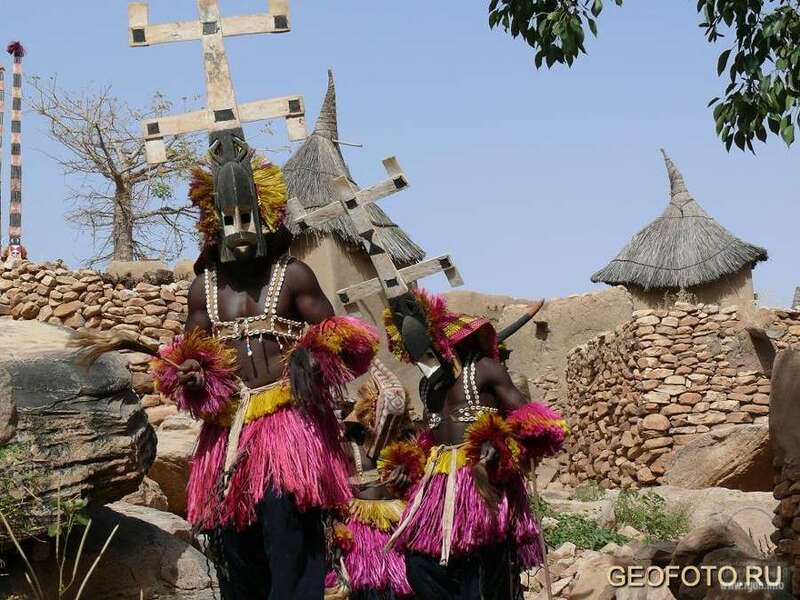 The Dogon priests indicate LakeDebo in Western Sudan as the place of landing. The lake is filled with water when Niger River overflows. On one of the lake islands there is a stone image of the Nommo Ark flying among the stars. Anastasia: Generally speaking, there is no unity in versatile exploration of the single; there is neither broadening of the horizons nor the most important thing – man’s knowledge about himself and his true Essence. Rigden: Unfortunately, this is so. Let me give another interesting example in this regard. 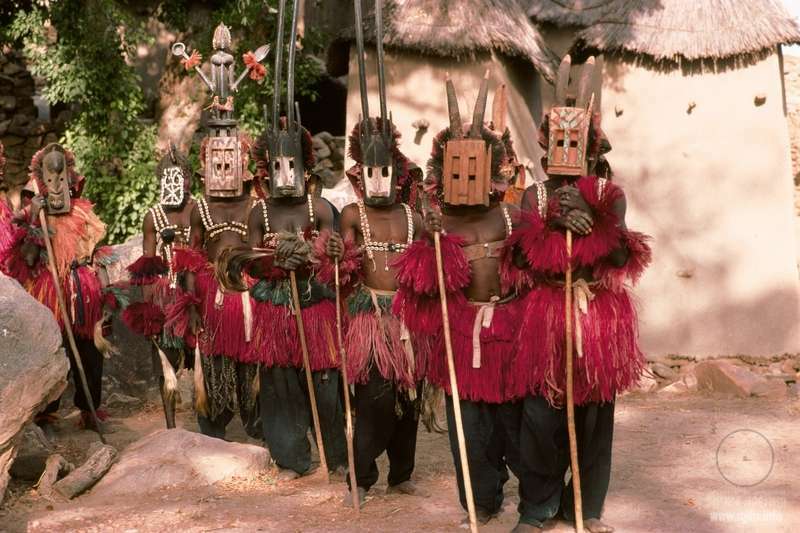 As I have already mentioned, there are the Dogon people in West Africa. At the end of the 19th century, when leading European countries started dividing Africa into their colonies, the territory where this tribe lived, just like their neighbours, got under the dominion of France. At that time, active slave trade from the African continent was developed. 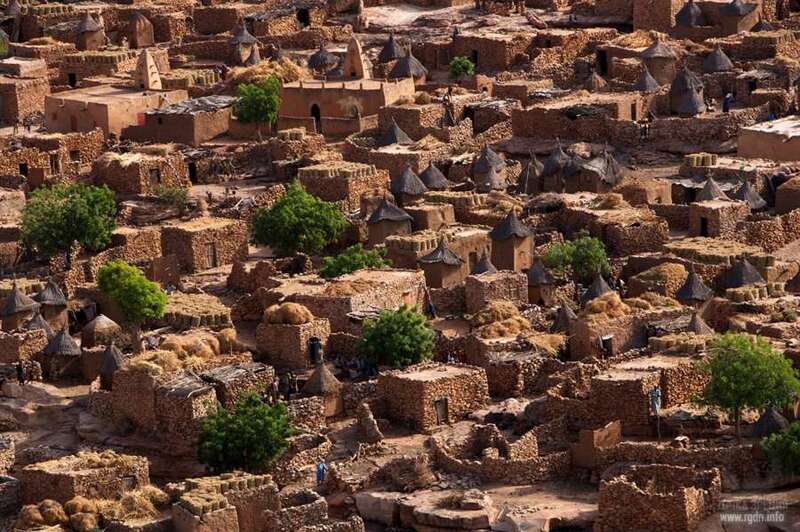 Nevertheless, the Dogon were not affected because they lived in inaccessible areas. So, the first person to learn about their existence was an official of the colonial troops who was making a list of “savage” tribes. His attitude towards these people corresponded to the stereotype created by politicians of his country, in other words, that “savages are not even human beings”. At that, the culture of these people was discovered (though just for a narrow circle of specialists in Europe) by the French ethnographer and Africanist Marcel Griaule. 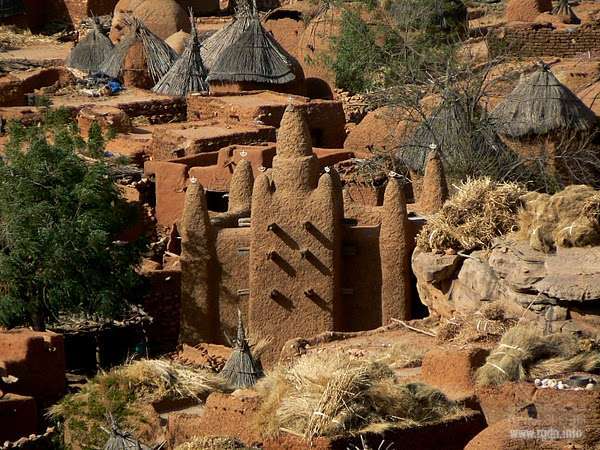 First and foremost, he was interested in the spiritual side of the Dogon life, and that is why the priests of this people eventually revealed their greatest secrets to him. Rigden: Perfectly true... 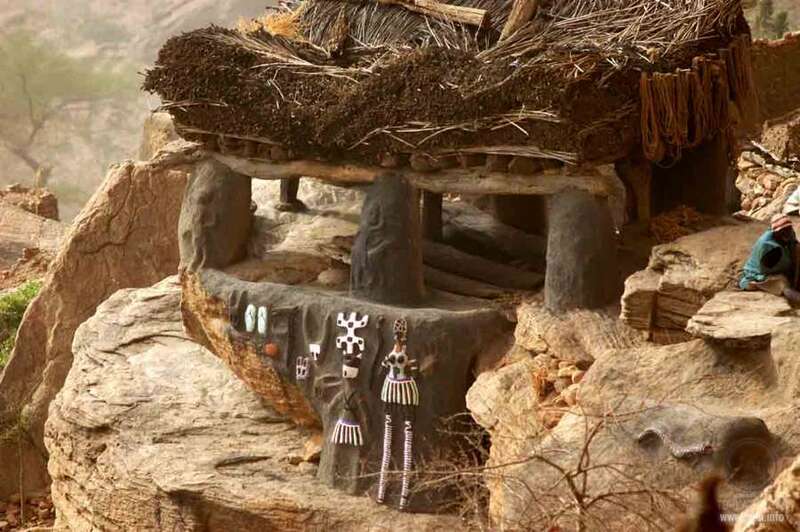 However, the world learned about the cosmological system of the Dogon not from works of this ethnographer, but from works of an astronomer who was also keen on archaeology and ethnography and managed to compare all this knowledge. Thus, the Dogon and the kindred Bambara people are among few peoples who have preserved the original information practically with minimal distortions, often without even understanding the meaning of this information, while the latter is such that it is far ahead of all the modern scientific achievements. Rigden: In the Dogon and Bambara cosmology there is information about the significant primary role of vibration and spiral movement in the creation of the Universe. Anastasia: The Dogon possess knowledge about the spiral movement of the Universe?! Rigden: They do. 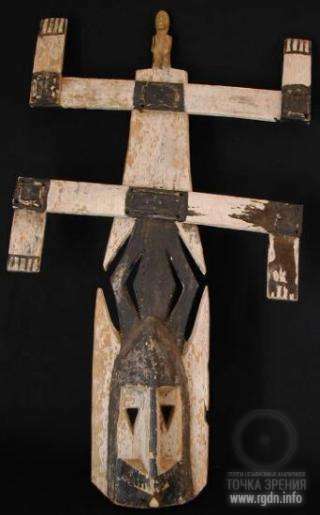 In the Dogon mythology there is a supreme deity – god-creator named Amma. 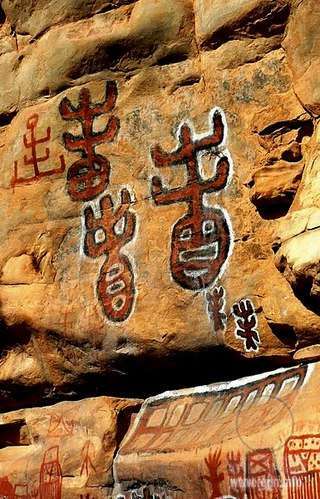 One of the Dogon myths says the world originated from the word Amma. Anastasia: Signs? Given that Shambala also communicates and creates events via signs... Signs are essentially a special topic. In regard to the above-mentioned legend, readers might ask a question: what do the “guiding and main signs” mean? 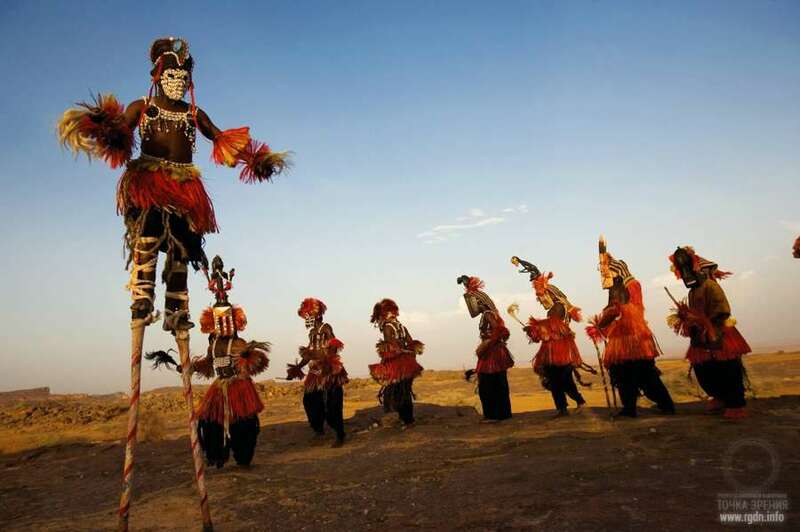 Rigden: Well, first of all, the very fact that the Dogon possessed such knowledge testifies to the fact that their ancestors received it through paleocontact. The two “guiding signs” are the signs which can be used only by the one whom they call Amma in their myths. The eight “main signs” are the creating signs which, when you apply certain power to them, figuratively speaking, like a key to a lock, open certain possibilities of managing the processes of both creation and destruction. It is very rare, but it happens so that the “main signs” become available to a human being. Anastasia: It is very rare, but they become available to a human being… This is the Grail! I recorded this knowledge in Sensei of Shambala, Book IV. Once you mentioned the Grail consisted of twelve signs, and the Dogon mythology mentions eight signs excluding those two which are unavailable for people in principle, as far as I understand. 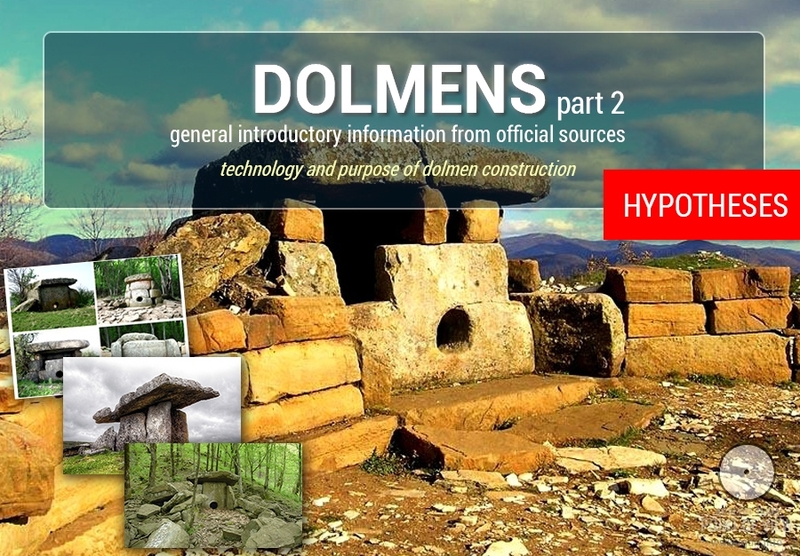 Hence, the Dogon either had incomplete information, or it was partially lost with time, or concealed from the European researchers who wrote down their myths. But the fact that the Grail consists of the “main signs” with which the world may be designed and adjusted as one desires is indirectly mentioned in many legends of various peoples. Rigden: Absolutely correct... Such knowledge, being “sacred” for one or another people, is almost never fully revealed by the tribe’s priests, particularly to random people. As for the Grail, one should remember that when it was hidden, it was not coincidental that the 12 signs were split into four parts, three signs in each. This significantly complicated the process of arranging the signs and activating the Grail with sound. The signs of the Grail in a certain sequence are like a form, like a key to a lock which, when a certain power is applied (the sound formula of the Primordial Sound), opens otherworldly possibilities to a person. Rigden: Incidentally, these ancient peoples have preserved records that number four embodies the feminine principle, number three embodies the masculine principle, and their sum equals to seven, which is the basis of the human Being (the principle of eternal life) and perfection. Anastasia: Four embodies the feminine principle… Hence, since the Grail was composed of four parts, this indirectly points at the connection with the creating divine power of the feminine principle – Allat. Rigden (grinned): Why indirectly? 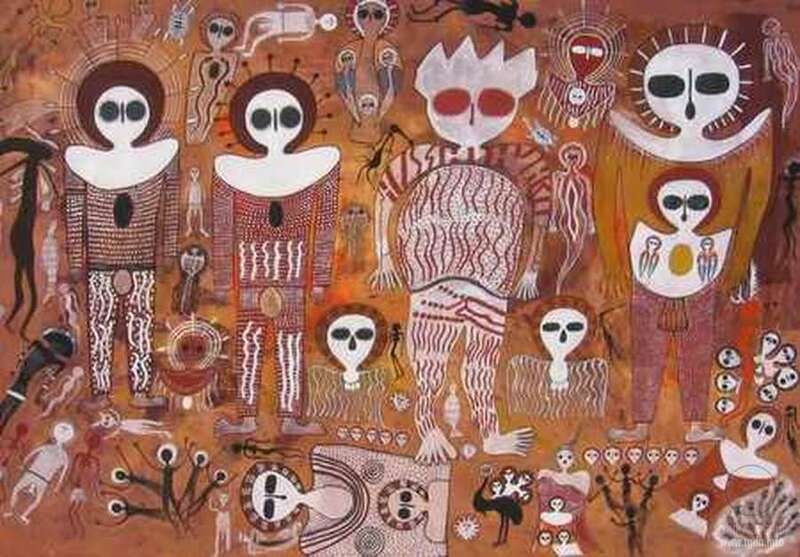 … By the way, speaking of Allat, in the cosmogonic myths of the Bambara people, which tell about the timeless initial stage of the creation of the world, it is mentioned that the world originated from the void endowed with motion – Gla. Gla in turn gave birth to a sounding twin. As a result, a pair appeared – Gla Gla. In general, after a number of conversions and transformations, owing to vibration, there appeared “signs” intended to be placed on objects that were not yet created in order to mark them. During the act of creation, the spirit Yo appeared (from whom the first powerful forces Pemba and Faro descended, which took part in the creation of the world), as well as 22 basic elements and 22 spiral coils. It is further mentioned that when these spiral coils “stirred” Yo it resulted in emergence of light, sound, all actions, all creatures, and all feelings… The myths mention that Pemba moved in space in a vortex and that he threw upwards that which was later called Faro. Faro in turn created seven heavens and the spirit of the air, and he spilt life on earth in the form of water. He is omnipresent and visits all waters. In actual fact, Faro continued to create the world; he put the Universe in order, classified all elements of the Universe, created people, and taught them the Word. Anastasia: Faro put the Universe in order. Yet, these are the functions of the creating power of Allat! Rigden: That is what I am talking about. 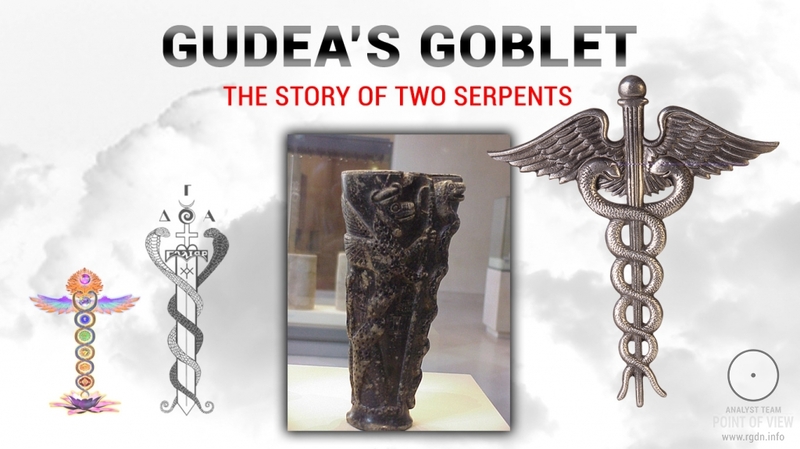 By the way, regarding speech… In the Dogon mythology, the deities of water (the divine twins) shaped as half-humans and half-snakes were called Nommо. Legends remain that, when they saw from the sky the mother earth naked and devoid of speech, they made for her a skirt of ten wisps of filaments of heavenly plants. It is precisely the moist filaments twisted in a spiral, which comprised the word and were full essences of Nommo, that communicated speech to the earth – the first language of the world. 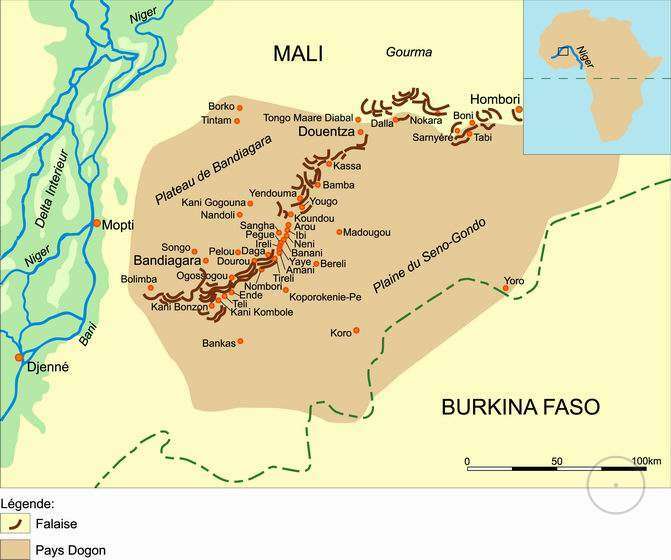 So, some people should not have called the Dogon and Bambara peoples “barbarians”. Those “barbarians” have preserved by far more information for future generations than “civilised people” have. Certainly, not without their elements of distortion, but still this is much better than nothing. Anastasia: Well, after all that you have just said, a desire arises to give everything up and leave for Africa, since such knowledge is available there. Here are the “savages”! I am truly interested why teachers did not give us such information at school. The question is far from being rhetorical, although now that I have read Anastasia Novykh’s books I do know the answer. 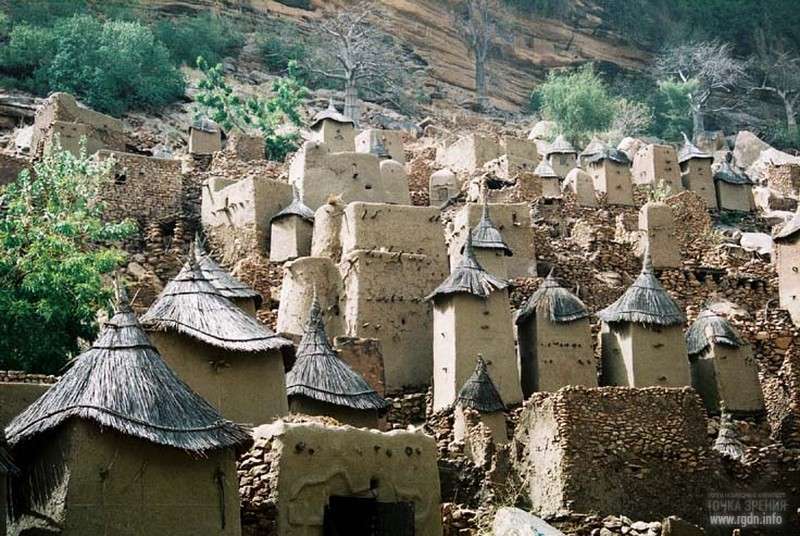 I think most of secondary school teachers and college professors of history themselves hardly know anything neither about the Dogon, nor about the actual events that took place in the remote and recent past of our civilization of humans who naïvely consider themselves rational. This is mostly the result of activities of the small group of people called Archons who are very interested in depriving all of us of an opportunity to know the Truth about our past, present, and nearest future. Well, it is also the result of efforts of a much greater number of individuals who represent the Archons’ executive machine, in particular scientists, politicians, and priests who year after year shape consciousness and views of billions of people on this planet, maintaining rigid materialism and money rule. 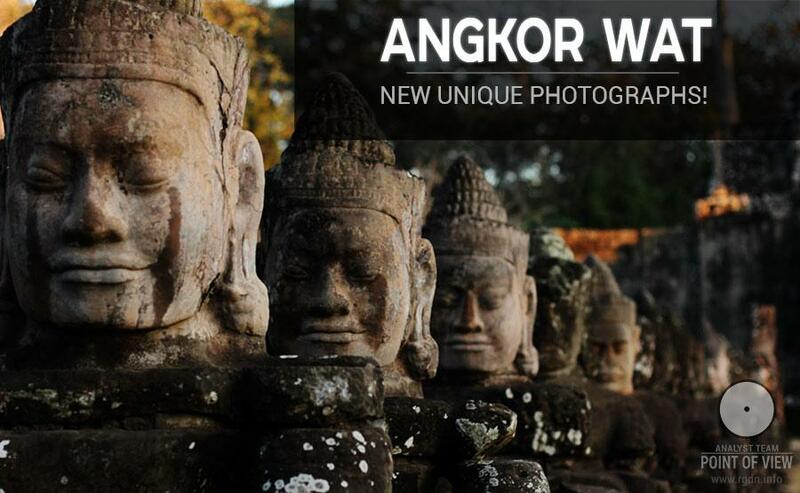 A striking example is shown in the article by the traveller and photographer Vladimir Alekseev, recently published on our website and entitled A real story of how discovered artefacts are replaced. Excavations in San Bartolo, Guatemala, not to mention that even MS Word marks the names of the aforesaid African tribes in red as non-existing in English. Nevertheless, it doesn't befit us to give up, especially in the times when the entire Spiritual World is helping those who sincerely desire to discover and know the Truth and to share such knowledge with everyone craving for the real Life. 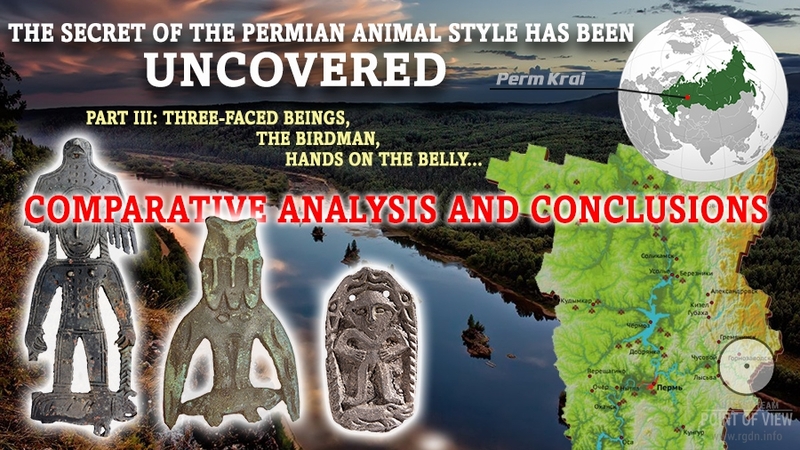 Therefore, dear friends, we kindly ask you to send us interesting finds, information, articles, photographs, and everything that in one way or another relates to the Primordial Knowledge contained in the cultural heritage of mankind. In the end, please view several more photographs.